CMS is another name for precise Suzuki Enduro parts! There is nothing better than online shopping and if you are doing it at CMS then it's definitely a cherry on the cake. 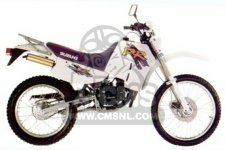 Our website is managed by knowledge oriented professionals, who are driven by their long experience and eagerness to offer you best Suzuki Enduro parts available in the market. When you need to succeed on track, opt for best motorcycle parts! Since the day we have launched, we accumulated an amazing customer base through our extraordinary service and dedication. Quick turnaround has proven out to be our key success formula for each interaction that we make with our customers. When it comes to extreme adventure, Suzuki Enduro is a first choice of trail riders and when it comes to parts replacement, CMS is everyone's first choice. Suzuki Enduro is a perfect blend of lightweight items and powerful machine to create a well controlled missile. If you want to keep this fully featured bike running at its best then you definitely need parts that match its standards. 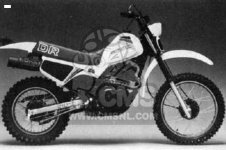 At CMS, you will get items for a diverse range of models such as Suzuki DR125, Suzuki DR350, Suzuki DR600, Suzuki Enduro 450, Suzuki DRZ400E and many other reputed ones. Now your ride will be safer and better than ever before. When high quality parts installed in your vehicle, you can ride it through any corner or change direction according to your own wish. The Suzuki Enduro parts and accessories are 100% compatible and don't require any additional modification or trimming to right fit them with your vehicle. We keep adding several new products to our catalogue every now and then. You can check out latest additions to our product list on regular basis. At CMS, you won't find even a single reason to complaint.